The key to delivering relevant online ads is data: target demographics, psychographics, traffic monitoring and trends, personal data, and more. Google has data about what we search for, Facebook has information on what we like and share, and YouTube has facts and figures on what we like to watch. Amazon, however, may have the best data of all for targeting ads. It has information on what we browse and buy. Google AdWords currently controls roughly a 31.5 percent share of global ad revenue, but Amazon is looking to give Google a run for its money in the online marketing space with its own platform. The e-commerce giant is taking control of its own advertising with the newly developed Amazon Sponsored Links, which delivers ads on its properties, based on keywords users search for while shopping online. According to a report from the Wall Street Journal, Amazon is planning to get rid of the ads on its pages that are sponsored by Google and are looking to replace them with a new in-house ad placement platform. In the future, the system could prove to be a worthy competitor to Google’s $50 billion/year ad business, the report cited sources as saying. The new advertising system from the Seattle-based e-commerce giant will function much like Google AdWords. When site visitors click on ads, they’ll be redirected to storefronts and inventories listed on the Amazon website. The service will use relevant information collected from users’ browsing and purchasing habits to customize the display ads, which, in theory, boosts the relevance of the ads better than the advertising methods currently used by Google and Facebook. In theory, the relevant ads would be more useful for site visitors and more profitable for the e-commerce giant. Additionally, a tool to help ad agencies buy in bulk for hundreds or even thousands of advertisers is also currently being developed by Amazon. Amazon is expected to start pilot testing the platform sometime towards the end of this year, slowly replacing the ads on their site currently supplied by Google. 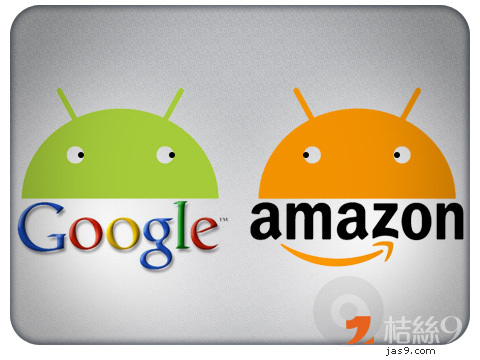 For Google, Amazon’s new system may prove to be strong competition. As the largest online retailer in the US, Amazon is believed to be one of the largest purchasers of Google AdWords, which brings in an estimated $1 billion in revenue for the retail company. If Amazon were to own this revenue stream outright, it opens up a great opportunity for the company to become profitable again, especially following their significant profit losses in recent years. Many industry experts are intrigued yet supportive of this move by Amazon, saying this new endeavor may affect not just the world of online ad placement, but retail in general. “Now imagine what happens if Amazon extends its reach from the seven percent who buy online, to all the physical retailers that could use Amazon as a payment gateway with its new credit card reader service (the Amazon Local Register). It’s a scary scenario for Google. It’s going to be interesting to see how they respond,” continued Goldberg. Only time will tell if Amazon is capable of competing with a giant. To Amazon’s credit, however, they have something Google doesn’t have: the understanding of the purchasing behavior of online consumers. Keep checking back here for the latest news and insights about everything digital marketing and SEO. Get in touch with us for any concerns or inquiries.